Go! 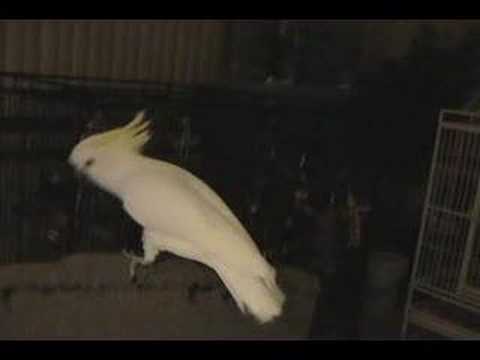 Check out a White Bird Dancing! Arvind here, disproving a myth! Who said white birds can’t dance?! What is the funniest animal caper you have ever seen? And what myth have you disproved?! Very funny – we should get Snowy the jiving black cat together with Snowball the dancing Cockatoo. PS – How come a cat so black was called Snowy?! I thought it was white men can’t jump? women can take a left hook followed by a chair across the head.